The saddest part about moving house was saying goodbye to my dear writing desk. In all honesty, I was ready to move on. Life in that stuffy flat had stagnated and fell to ruin, so I was extremely grateful for the opportunity to start afresh. The writing desk was the only thing I was sad about leaving behind, but I have now set up writing desk in my new house and began working on my fourth book! 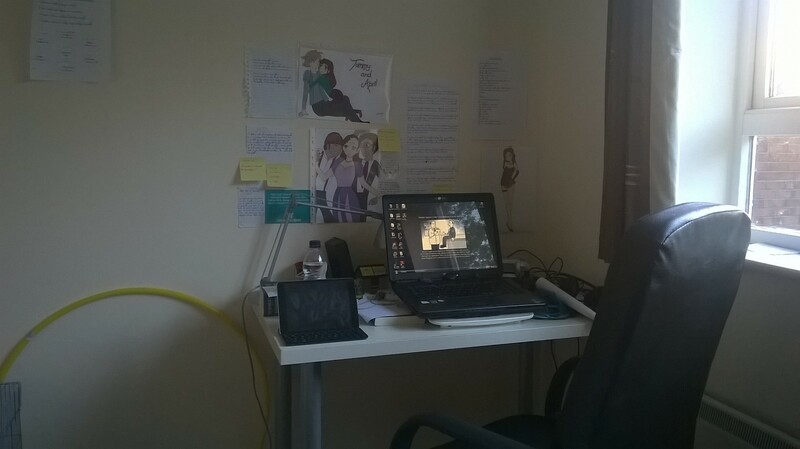 I think that it is very important to have a designated writing space. Psychologically, it helps you to get into the zone more quickly. I am still waiting to develop a special connection with my new writing space, but I think that we will forge that bond through writing. As I give birth to my latest story, my writing desk will come alive with creative energy, which in turn will help to spur me on even further.